PPCGeeks - View Single Post - WM 6.5 Default Dialer!!! Thread: WM 6.5 Default Dialer!!! like 911. In the zip att. is a cab, OEM (for cooks), and dialer images without BG so if you guys want to change the background to match your theme you can. It's not all that easy to do some prior expeirence is needed to add your own BG and make it look good. Enjoy! Sorry QVGA ONLY!!! For Now. 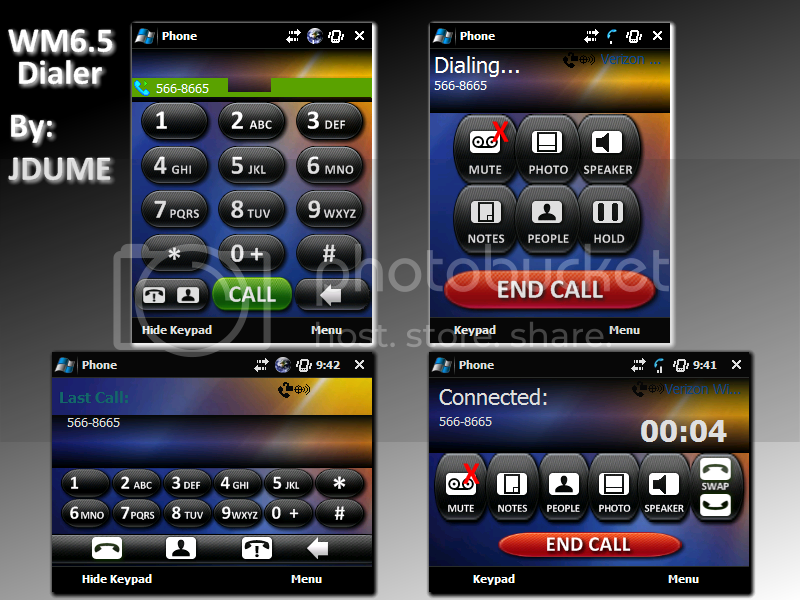 WM6.5 Dialer.zip (2.43 MB, 2135 views) Click for barcode! Last edited by jdume; 04-19-2009 at 12:38 PM.